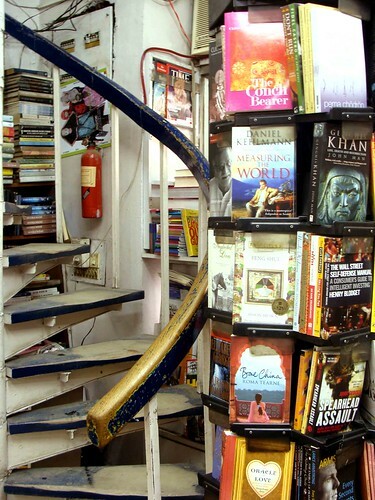 Delhi’s legendary bookstore is to die, aged 31. 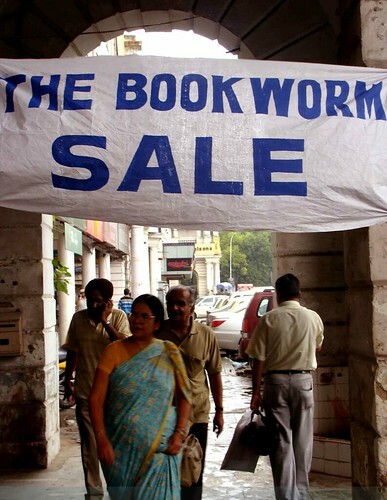 The Bookworm, a 31-year-old landmark at Connaught Place’s B Block that has been visited by booklovers like Satyajit Ray, is closing down. 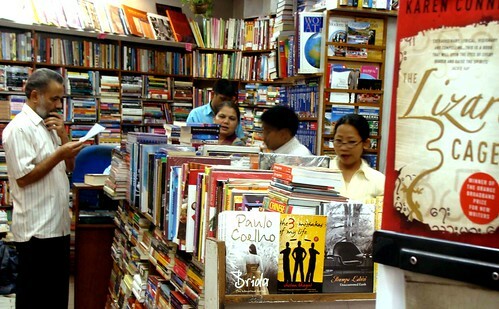 Blame it on the declining business caused by the rise of bookstore chains and cheaply priced pirated books in the city. 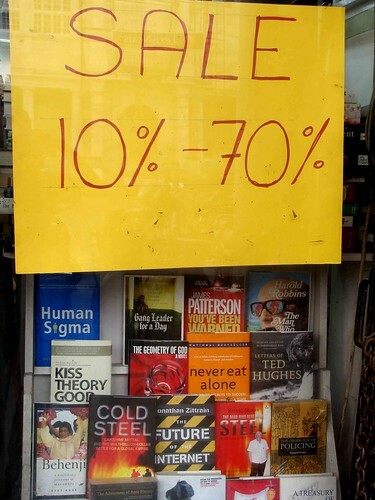 Desperate to roll down the shutters as soon as possible, this legendary shop that always insisted on selling books at their list prices is now clearing its stock of around 20,000 books by offering up to 70 per cent discount. “By monsoon, it should be all over,” says Mr. Anil Arora, the owner. However, a bookstore’s persona is not created by its professionalism alone. An entire set of intangible something that cannot be defined but which is an absolute must in making up the romance of a place is needed. The Bookworm has that mood. Since 1977, when Arora replaced his liquor store with this bookshop, the spiral staircase, the revolving bookcase, Nabokov in the corner, Chomsky on the first floor, and Miles Davis and Bill Evans as background singers have been luring booklovers here. And then there are the 11 bookshop assistants, so nice that they never embarrass any regular by asking for payments of books purchased in times past. According to Ms. Rose, the golden era of the bookshop lasted till 2000. In the new millennium, the corporates intervened with their large bookstore chains, stealing quite a few of the Bookworm’s loyalists. “People came here from far flung areas like Gurgaon but now they have bookstores in their own neighbourhood malls,” says Mr. Arora. Shops offering huge discounts made things worse. Yet not all bookworms shifted loyalties. “We have readers coming here since their college days,” Mr. Arora says. “They change jobs, cities and countries and yet they keep coming,” he says. For instance, the owner of a popular restaurant chain has patronised the shop since the day it opened. Curiously, over the years The Bookworm’s bestsellers have remained the same — Catch 22, Seagulls and Agatha Christie mysteries. The only contemporary classic that joined this exalted company is Arundhati Roy’s The God of Small Things. 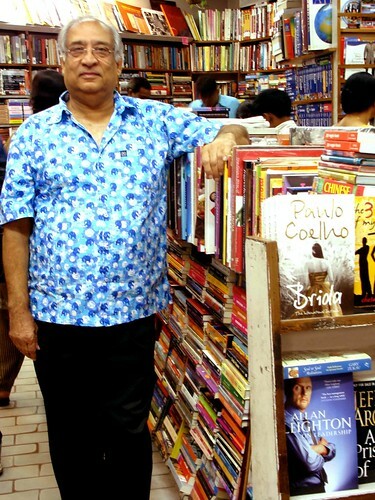 “This novel has a consistent sale and it is probably the one whose copies we have sold the maximum,” says Mr. Arora. Boookworm’s closure will be Roy’s loss too. well am nt sure what to say.i have been to the store but never really liked it much. i guess as the new generation does we all associate more with the chains, supermarkets and malls then with the old time romance of mom n pop stores.well it sure was a landmark! is it too early to say was? 🙁 I head of this news from your blog. I was in the shop a few months ago and bought the delectable book on Delhi by Lucy Peck. Such an unecessary end to such a fantastic place. Oh no! Used to go this shop as a child on visits to Delhi, where we could find all titles that our not available in our small town. Still have a load of children’s books with the date and place written in…closure is such a loss; chain stores may have armchairs and discounts, but you end up reading only what someone remote decides to stock: I find them repetitive and boring. the bookworm is closing down! i have only been to shop twice in my life but those times were enough for the spiral staircase and how i felt at the store to stay in my mind. to each his/her opinion about bookstores but my vote would always go to a store that’s more like a personal library (as bookworm is) than a mass retail chain that just ‘sells’ books. This shop marks CP a little for me, CP marks Delhi a little for me, and Delhi marks a little of me.It was a wonderful place, comforting to be surrounded with books, literally falling all over you.When I read your article, I remembered the main lady and her helpers (didn’t know their names till I read on). It is strange that they are so vivid in my memory..I suppose it was the energy of the place.I guess life moves on! I visited the shop yesterday only and was interested in buying Pankaj Mishra’s “An end to Suffering”. But since the book is priced Rs. 495/- i.e. less than 500/-, the discount was only 10% so dropped the idea. I realised it too late. And it was closed when i went to it today. Almost broke down at the shock of it. Who will I now go to to ask what to read, Mr Arora? Thanks for guiding me through the wonderful world of books. It was my personal temple. And i didn’t know temples can shut down too, just like that.. So sad to see the rumour confirmed here. 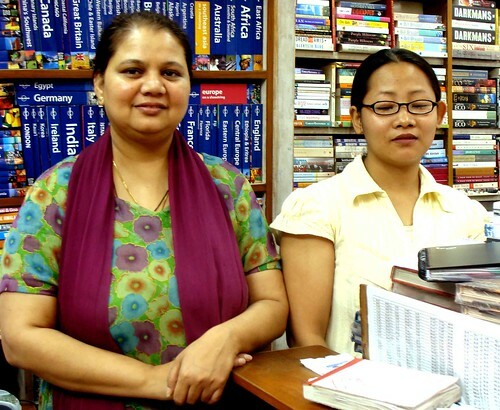 I’ve been going to Bookworm since I first went to Delhi in 1994 – they would happily mail books to the US and UK, sewing them up in neat packages that the Post Office never lost. Can’t believe it’s gone. Its the end of a great era, and the best jazz-as-you-read experience in India as well. Thanks to The Bookworm our middle age is coloured with India’s wisdom.